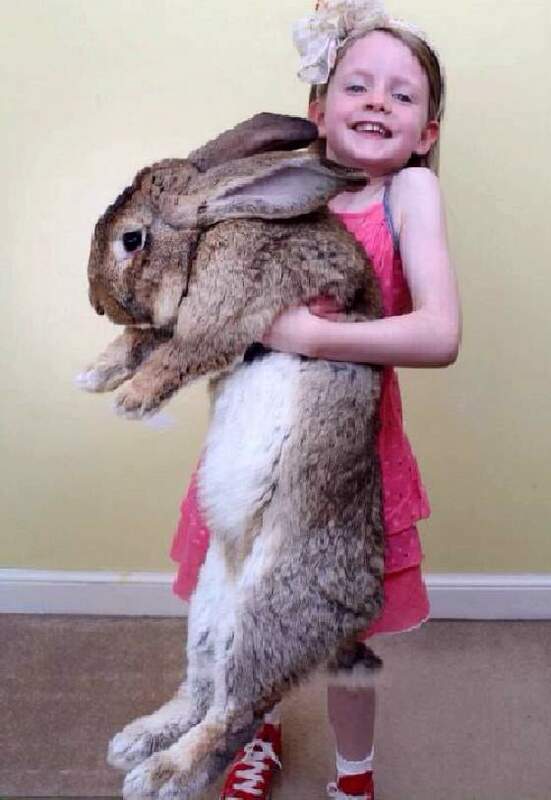 ShangralaFamilyFun.com - Shangrala's World's Largest Bunny! 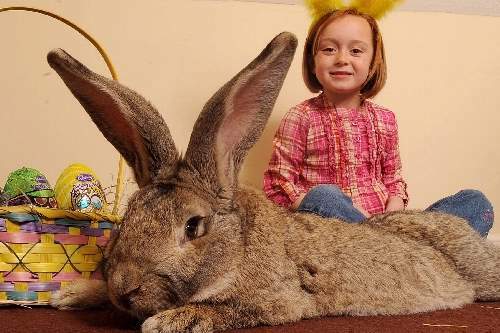 Meet the world's biggest Easter bunny, Darius the enormous Continental Giant, who weighs a whopping 50 pounds and is 4ft 4in. It is a double celebration for Darius who shares his birthday, on Easter Sunday, with his beloved owner Annette Edwards. 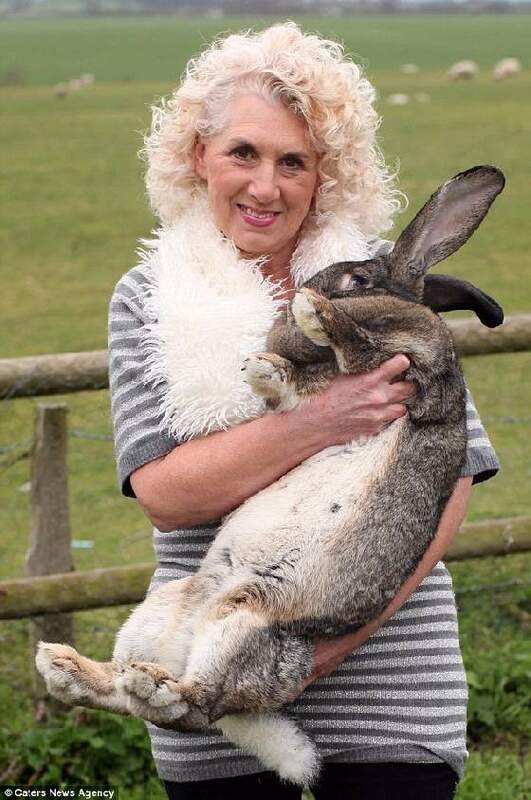 Ms Edwards, from Worcester, has bred big bunnies before but Darius is the largest in the history of rabbit-kind. Guinness World Records has certified Darius' record, which is based solely on his length. The record-keepers used to also list animals by weight, but dropped that measurement out of fear that people were overfeeding their pets to get them in the record book. 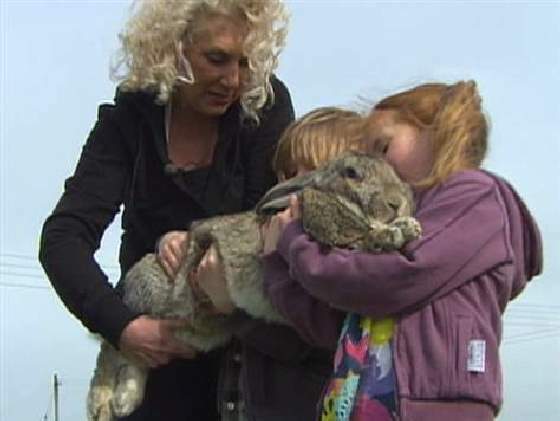 Being a star has its benefits for the large lagomorph. 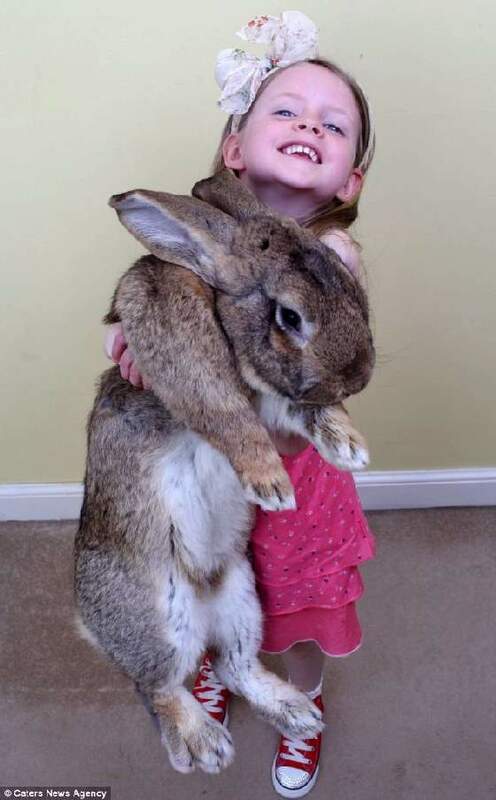 Darius is insured for $1.6 million, has an agent and travels with a bunny bodyguard who reportedly makes about $100,000 a year just to wrangle a rabbit. She emphasized that Darius is not fat. He's just enormous. "Darius is very healthy. He has lots and lots of exercise and a very good, balanced diet," Edwards said. "He's King Darius. He's a very famous bunny. He's a celebrity." Then, in case anyone failed to notice, she added, "He's a very big boy." 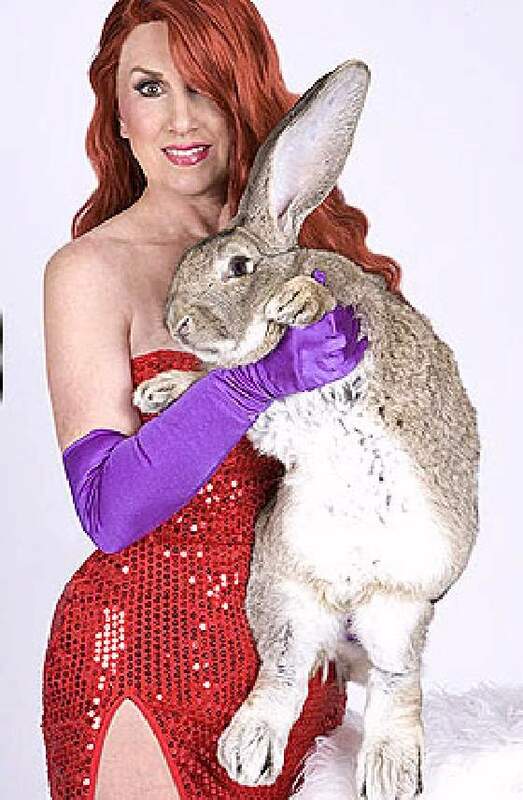 When she makes appearances with Darius, Ms Edwards becomes the famous Jessica Rabbit. It's a look that last year cost her $16,000 in plastic surgery bills to achieve, but it's apparently been worth it. Still, as stunning a picture as Edwards presents, Darius is the star. SPECIAL THANKS Goes To TAMMY BIGHAM For Sharing This With Us.